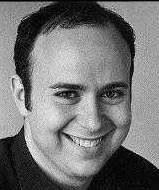 Welcome to www.jamesjgerber.com, the web portal, strangely enough, of James J. Gerber, New York area actor and AFTRA member in good standing. If you are interested in contacting me, please write to james@jamesjgerber.com. PS-For the latest, please check out my blog: Confusing Medical Science Since 1971.